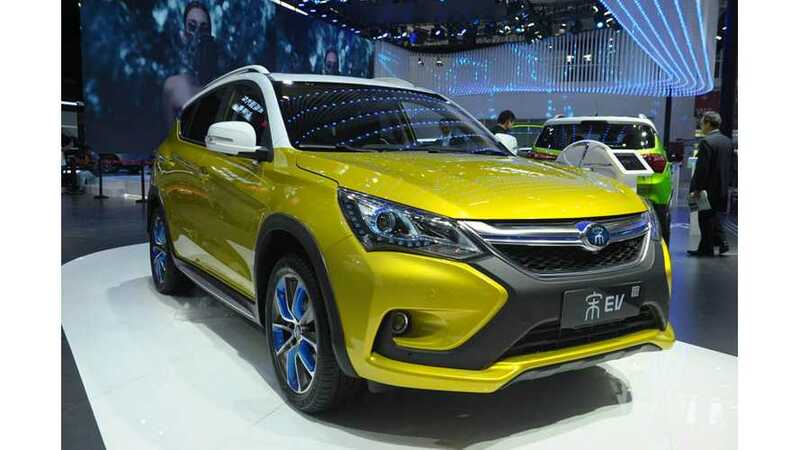 Almost every second plug-in electric car sold in 2017 was produced by Chinese brands. Germany and U.S. were 2nd and 3rd behind China. 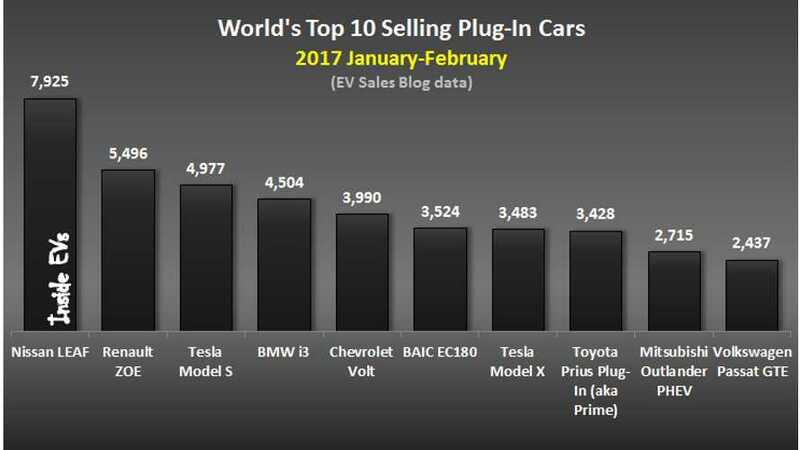 The year 2017 was yet another record-setter for sales of plug-in electric cars worldwide. Which models and brands took top honors? Click to find out. 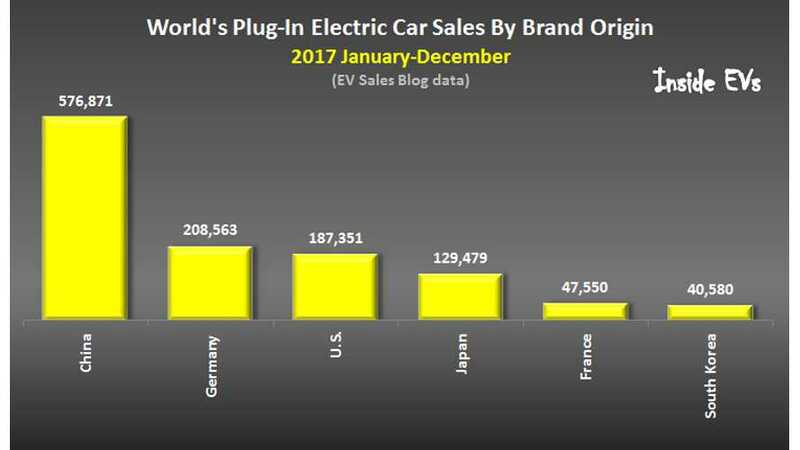 Through the end of November 2017 we are certain that the world's fleet of plug-in electric cars exceeded a level of 3 million. 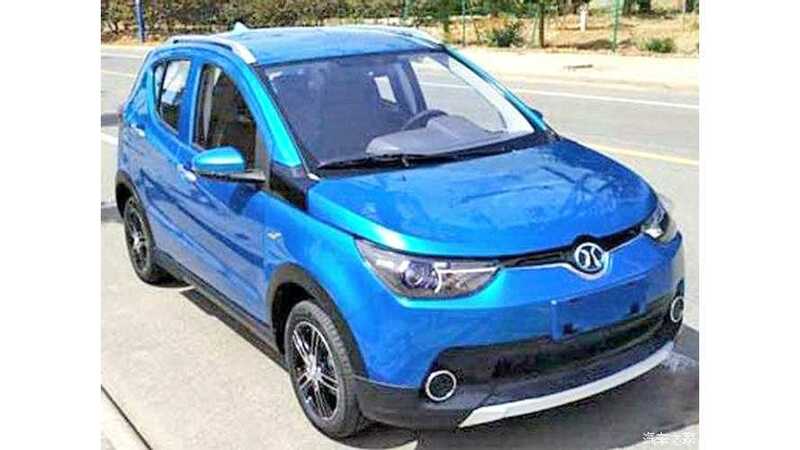 5 million expected by end of next year. 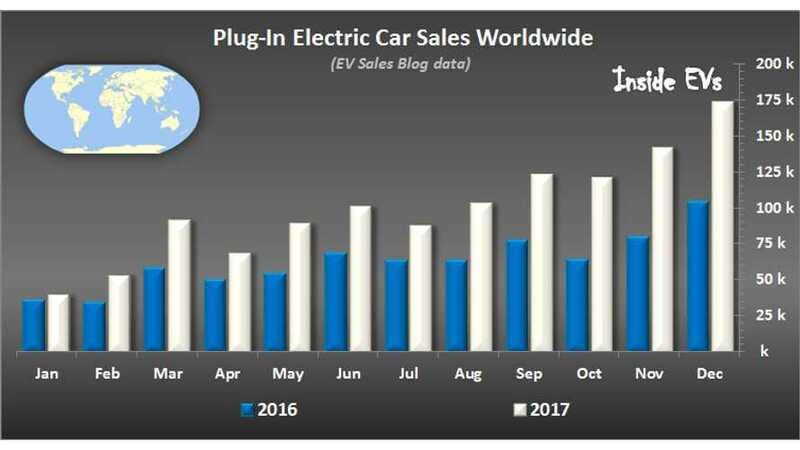 Plug-in electric car sales are booming worldwide with growth rate of 72% in November 2017 to a new all-time record of around 141,000! 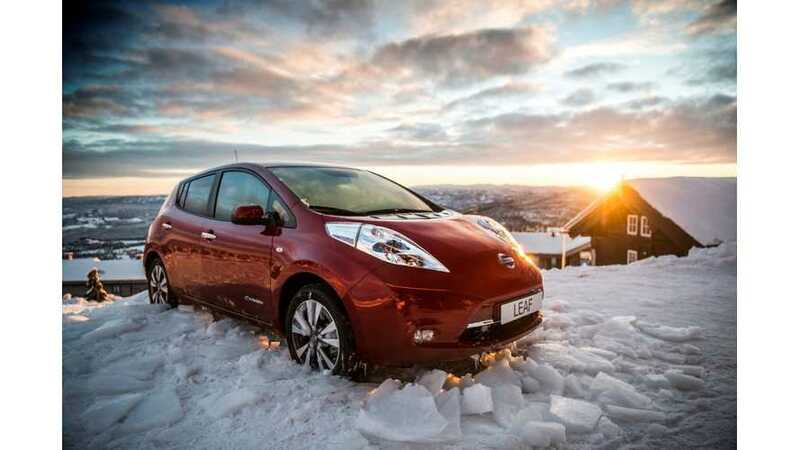 In October, plug-in electric car sales nearly hit a new record. 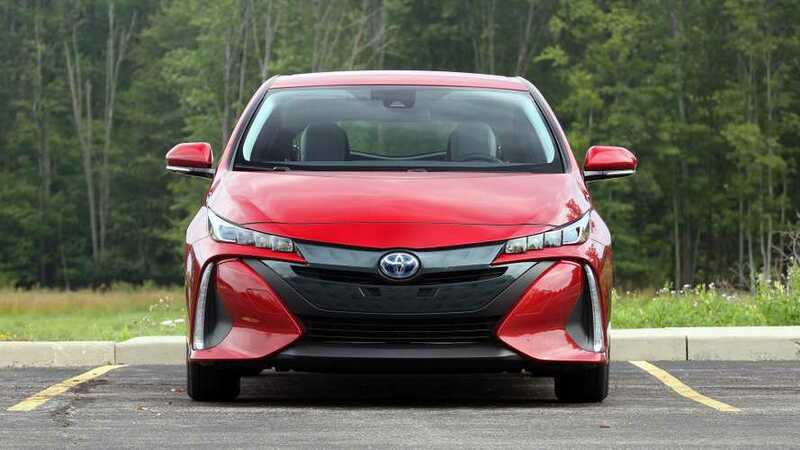 EV Sales Blog estimates almost 121,000 deliveries, which is 84% more than year ago. 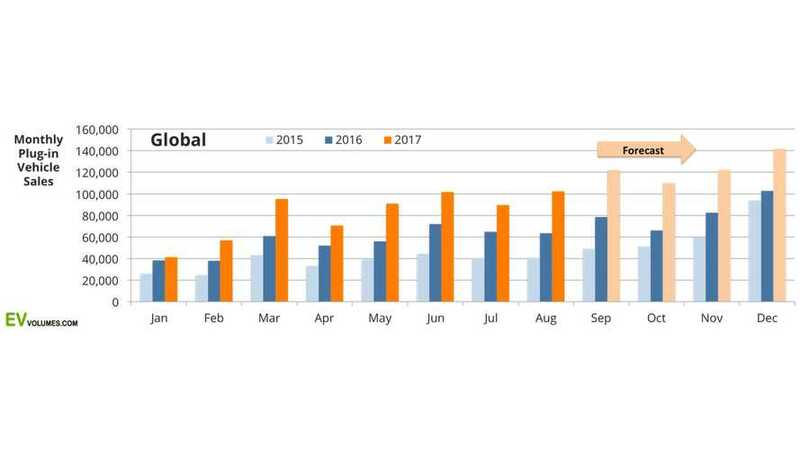 Global plug-in electric vehicle sales have shown an increased every month (YoY) for the past several years, and is showing no signs of slowing down any time soon. 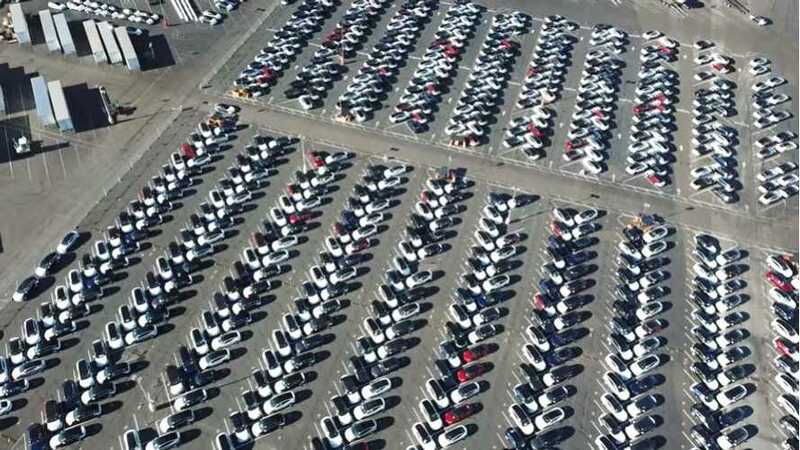 August was one of the best months for EV sales ever, as almost 103,000 units were delivered, which was up 64% from a year ago. 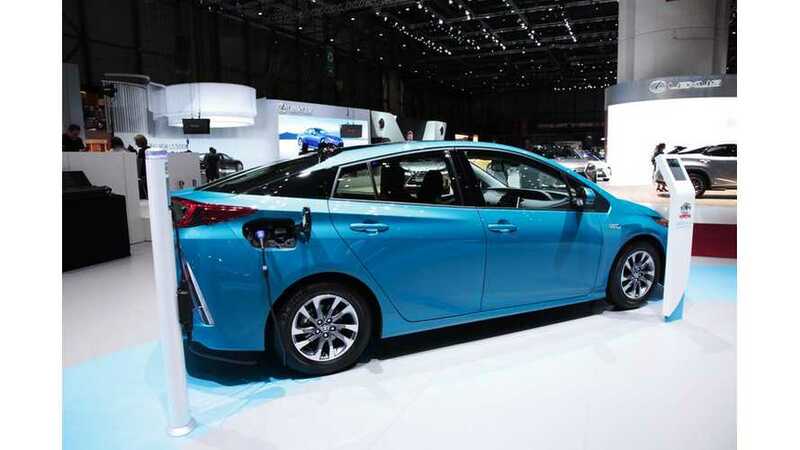 In July, some 88,000 plug-in electric cars were sold in the world, which is 40% more than year ago. 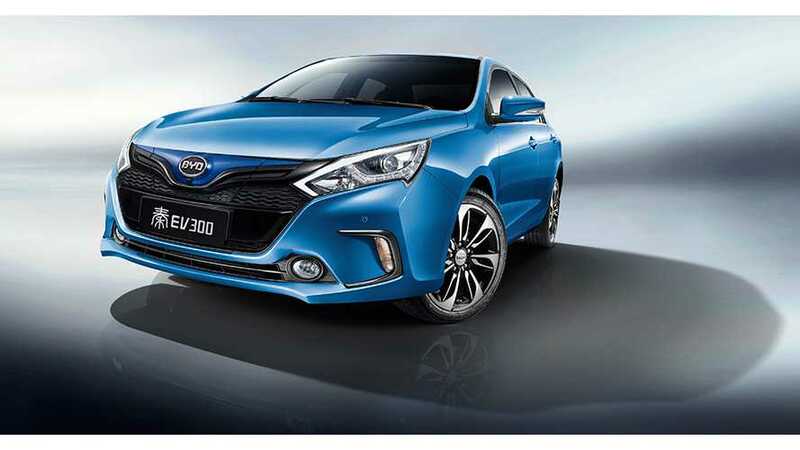 YTD global EV sales stand at roughly 545,000. 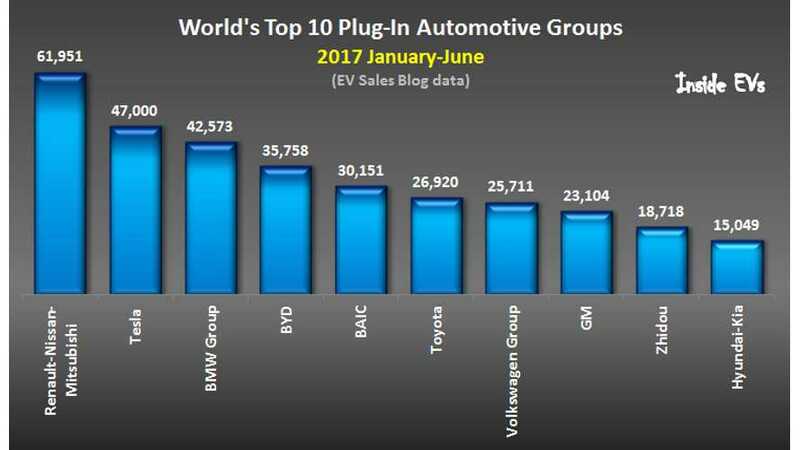 The biggest plug-in electric car supplier so far this year is the Renault-Nissan-Mitsubishi Group, which at nearly 62,000 holds 14% share. 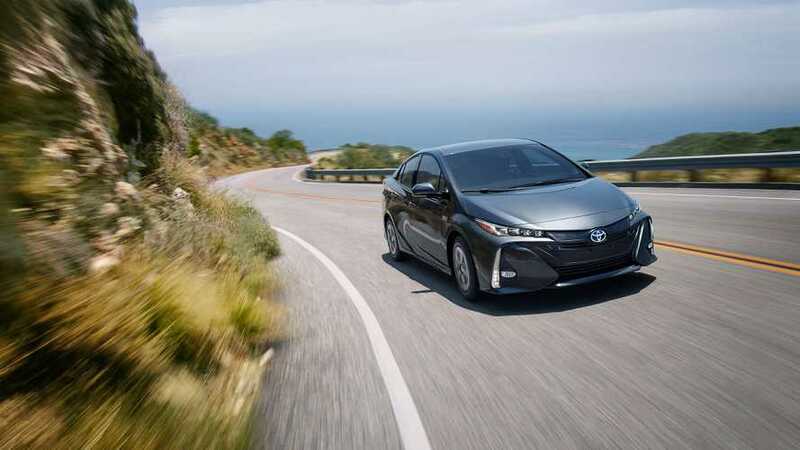 June was one of the best plug-in sales months ever, for second time in history over 100,000 EVs sold, eclipsing 1% global market share for the first time! 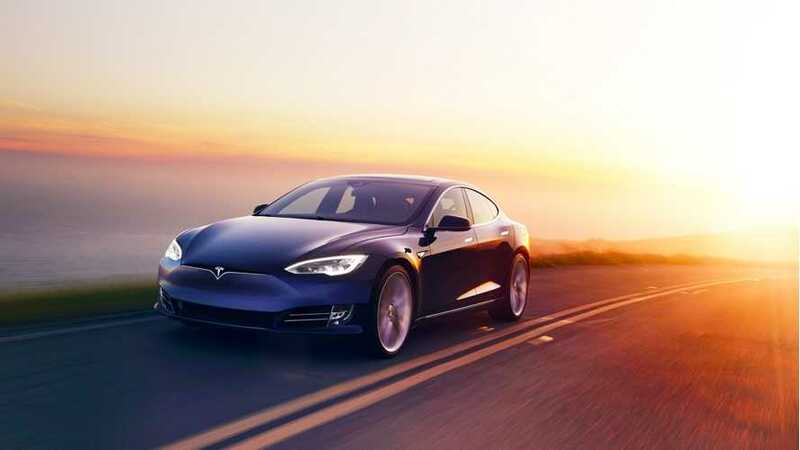 Worldwide plug-in electric car sales gained momentum in May, as nearly 89,000 were delivered, which is up a very strong 59% more than a year ago. 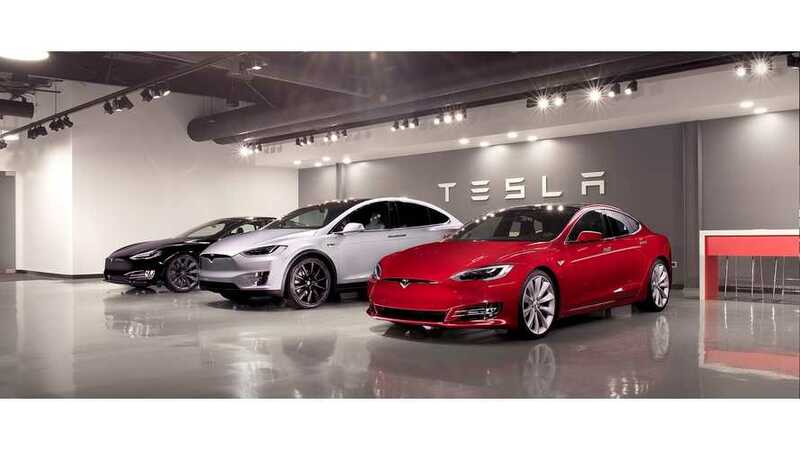 Nearly 259,000 plug-in electric cars were sold in the first four months of this year, which is 36% more than year ago. 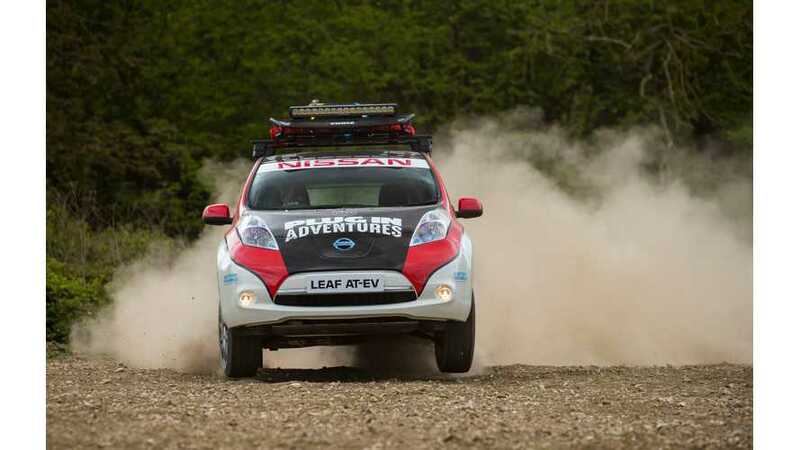 In April sales amounted 68,000. 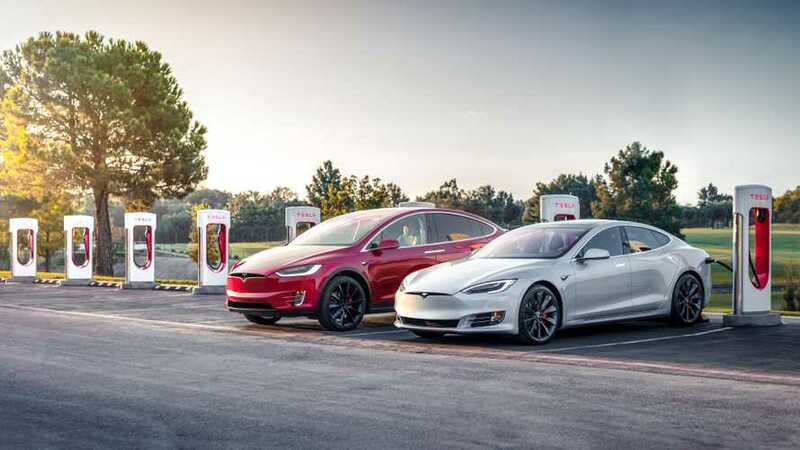 Strong growth in the US and Europe meant that plug-in electric car sales grew by 2% year-over-year to 39,380 in January, despite a big downturn in China. 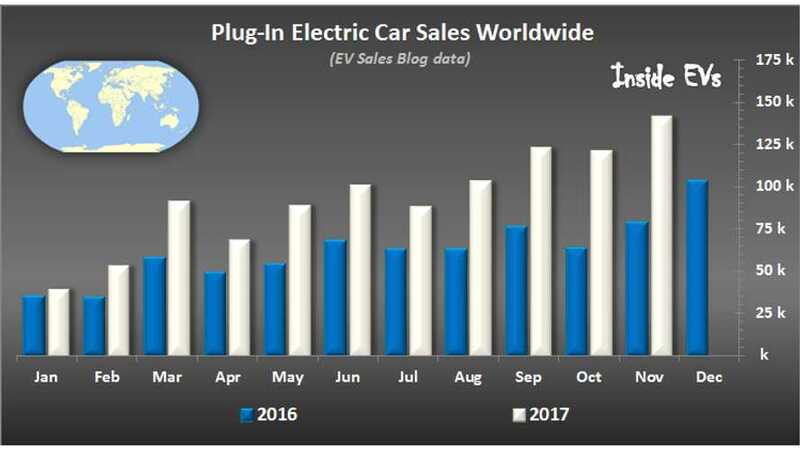 December was record month for plug-in EV sales as 103,527 were sold worldwide (up 20% year-over-year), total sales last year amounted to 774,384.